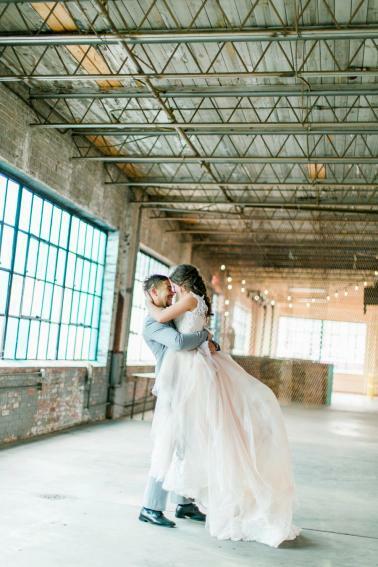 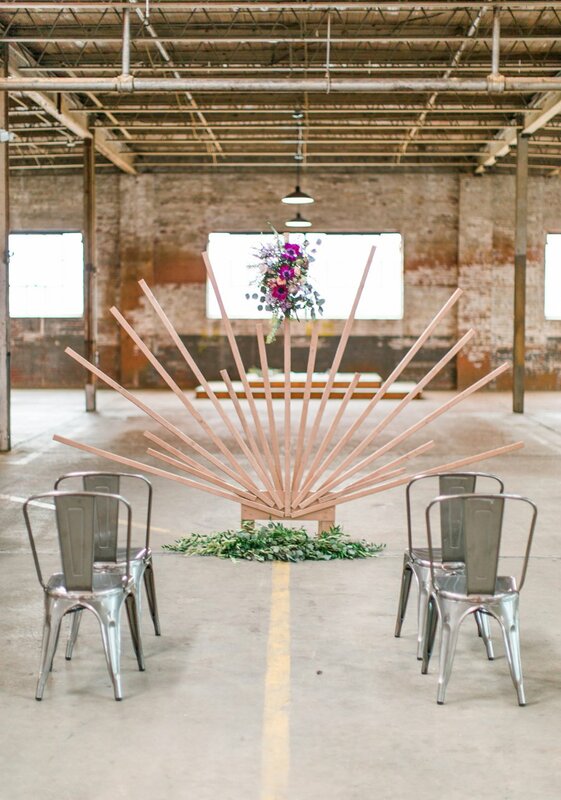 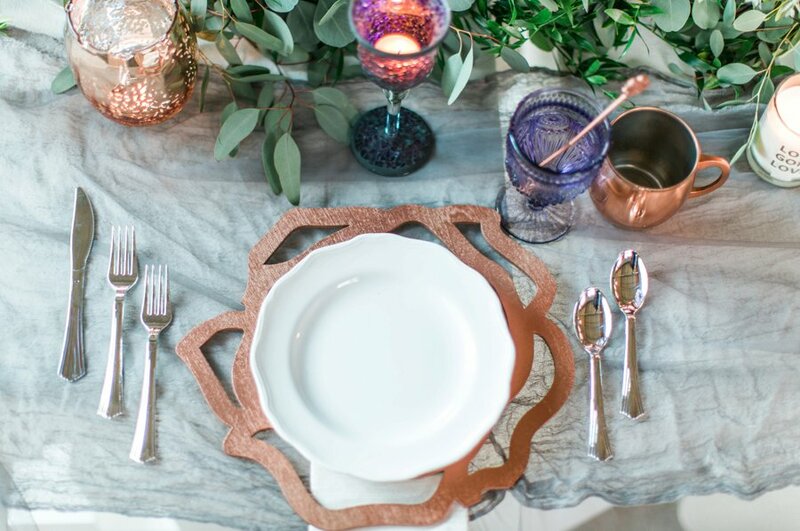 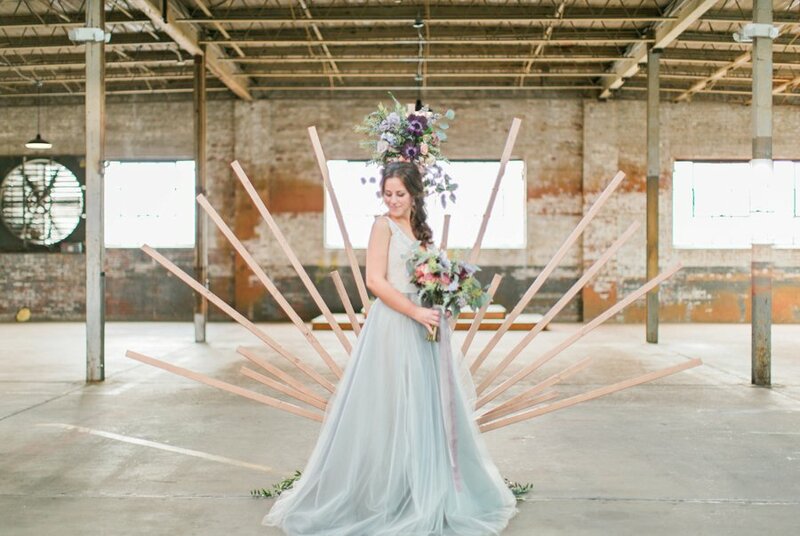 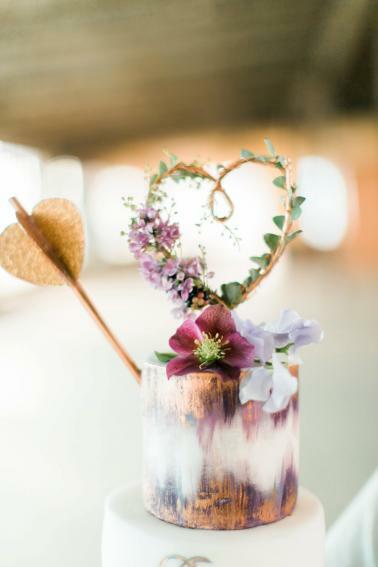 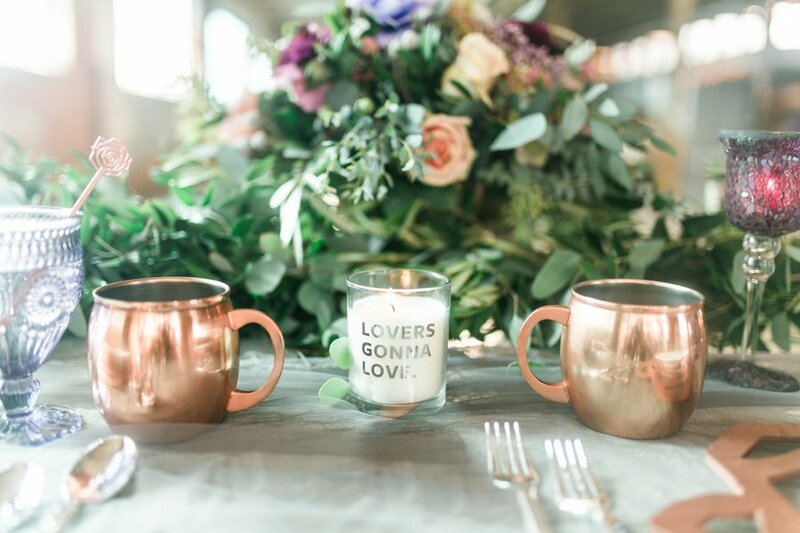 It’s no secret that we love LOVE, and today’s industrial wedding ideas were all about love. 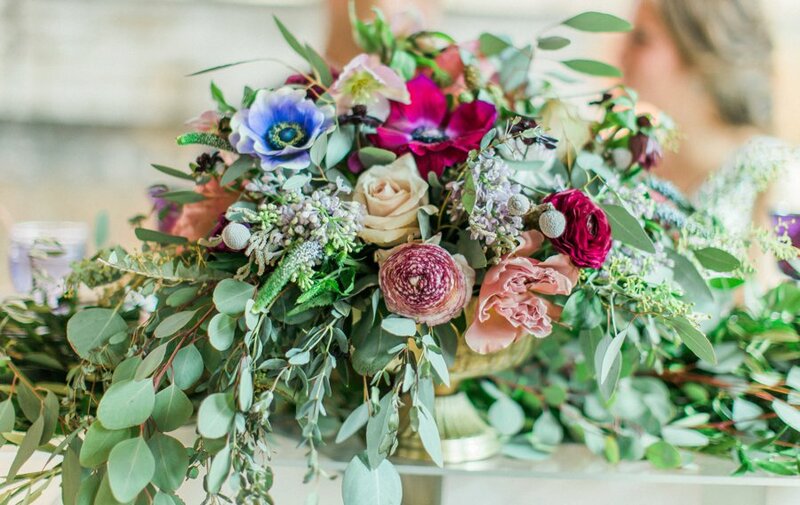 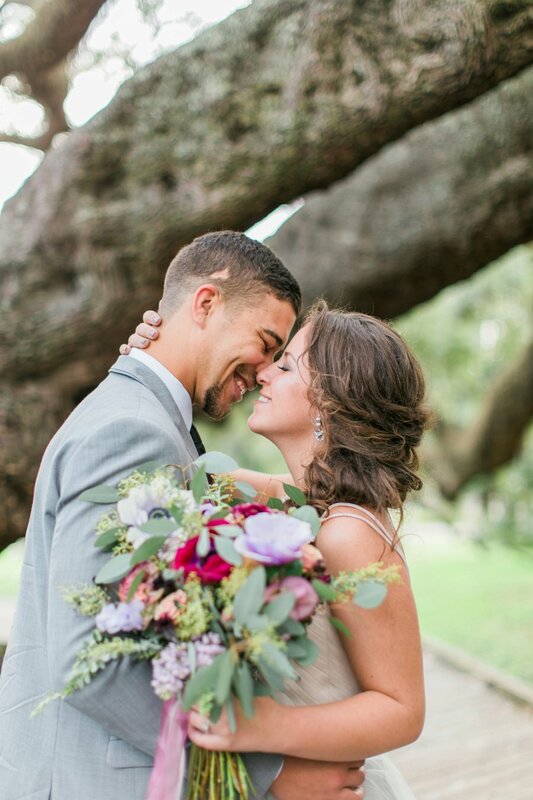 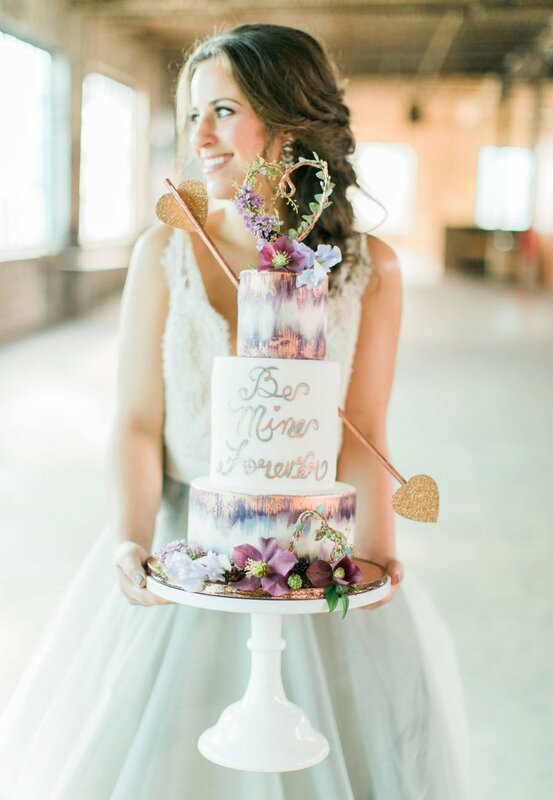 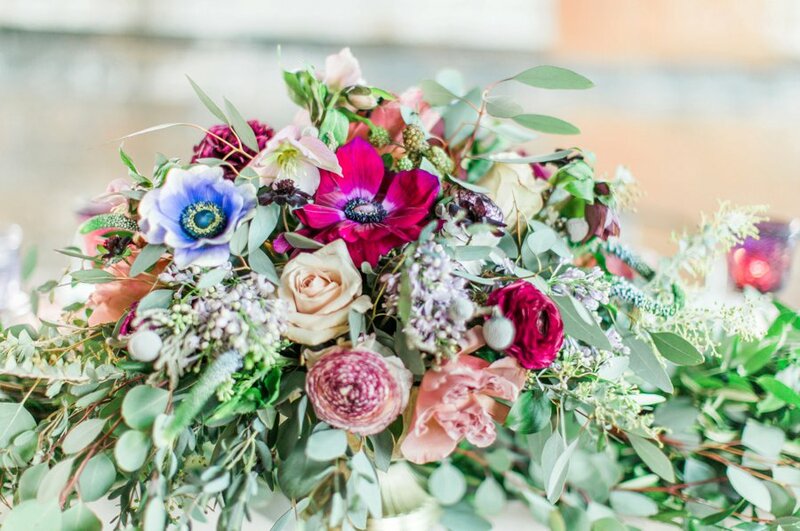 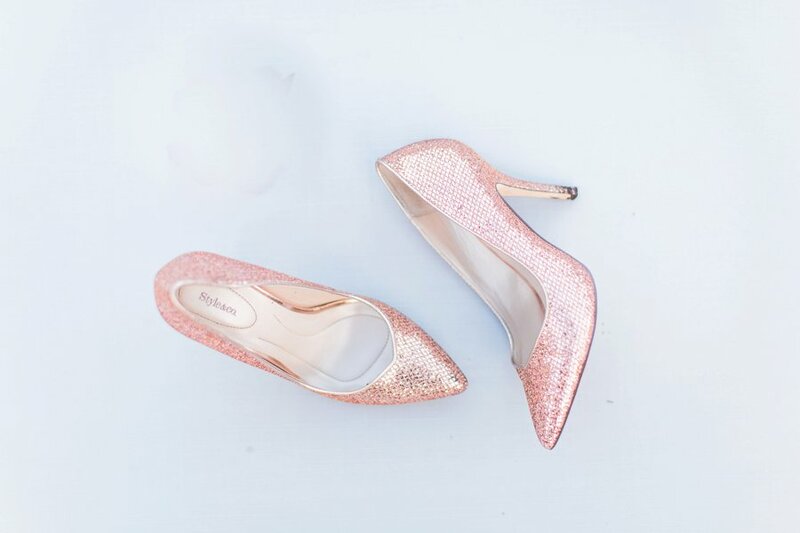 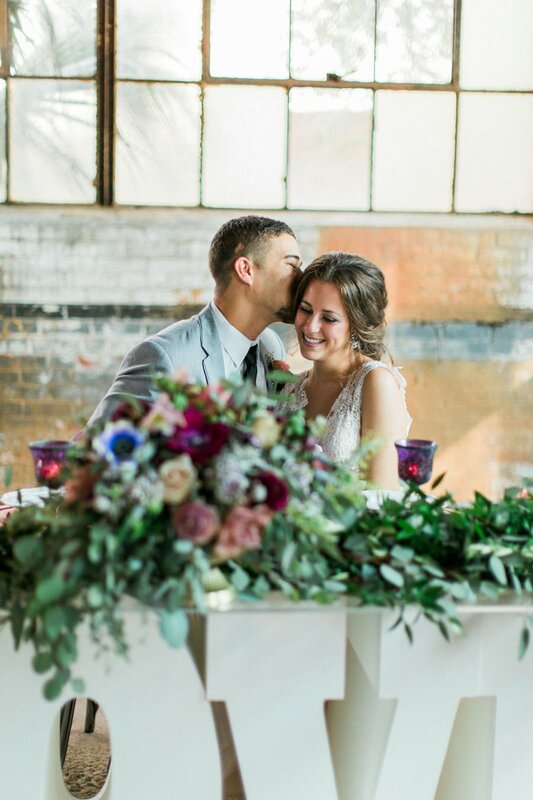 Olivia Morgan Photography and Loba Design Co. created this fun and modern wedding inspiration highlighting colorful style, a unique ceremony space, and a sweetheart table that serves as a bold focal point for the reception. 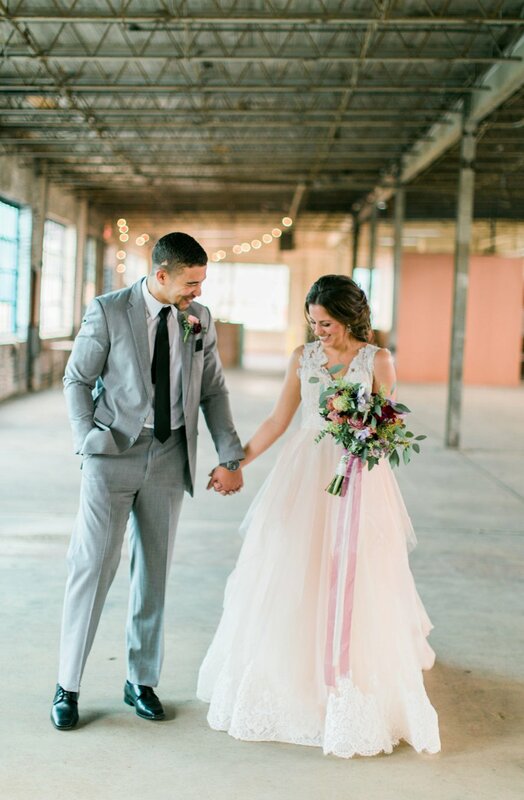 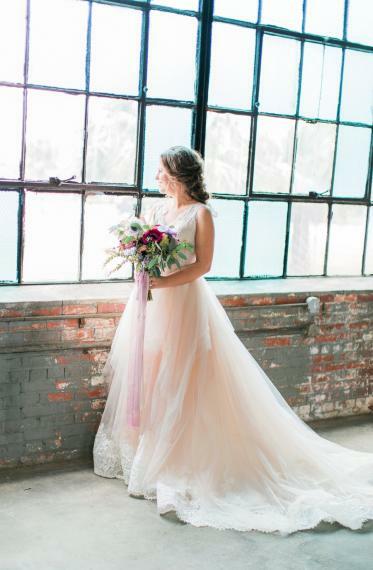 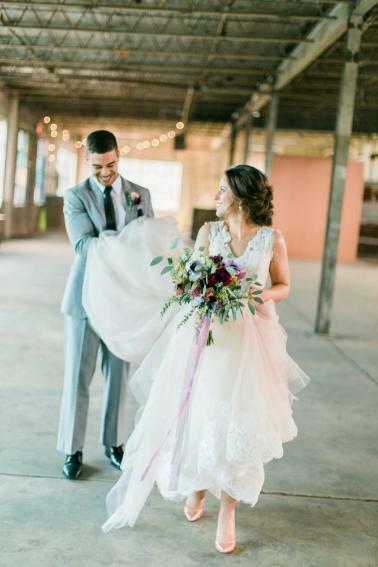 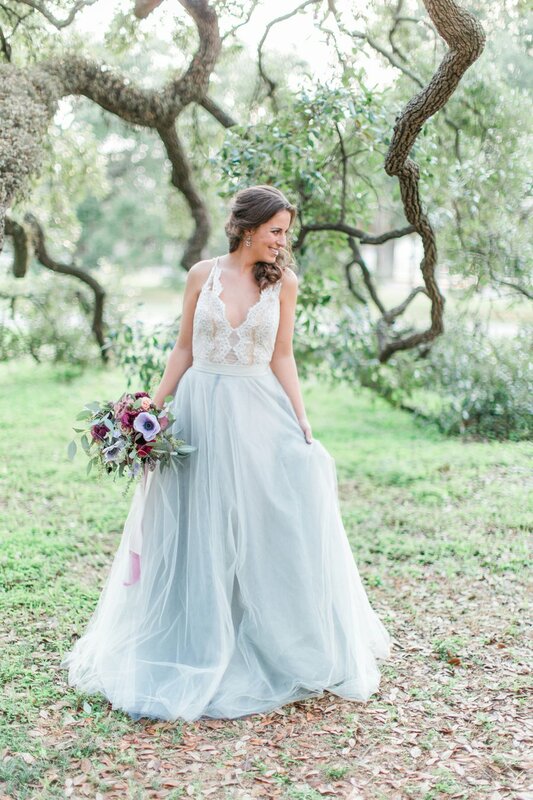 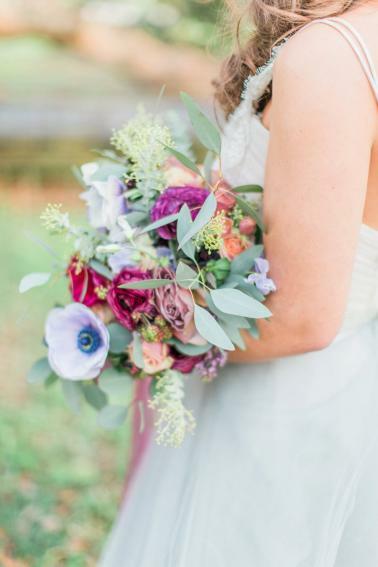 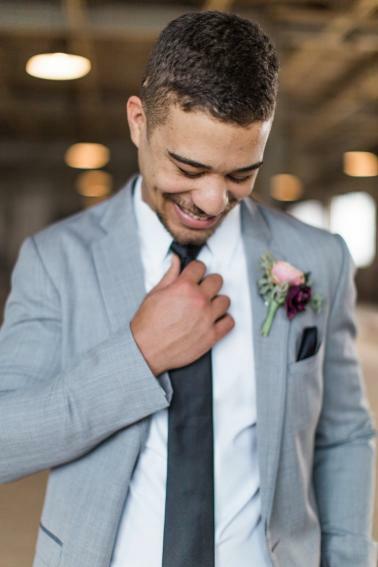 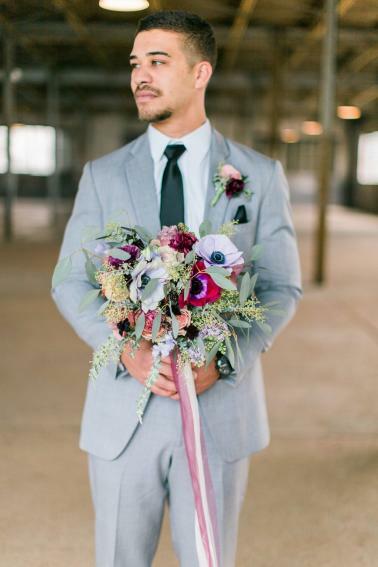 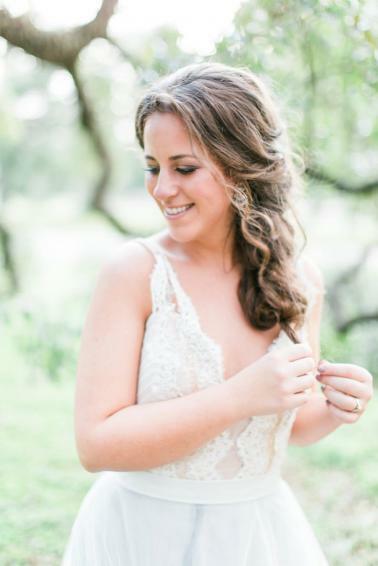 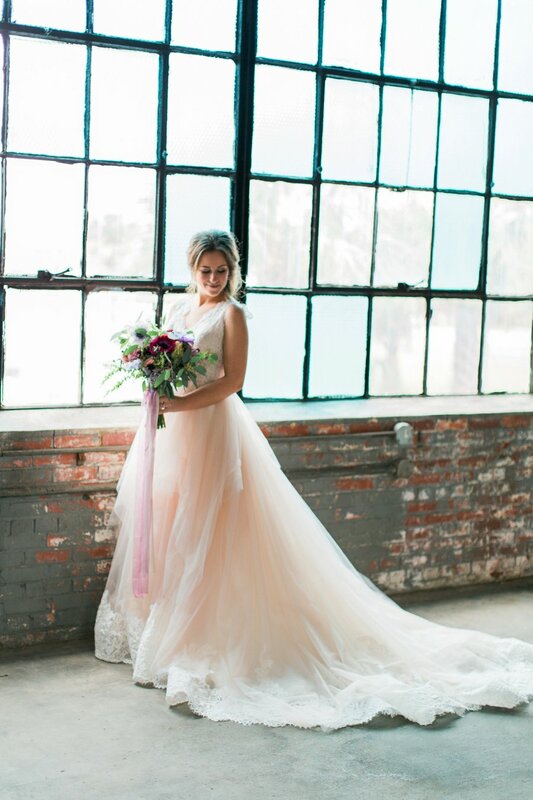 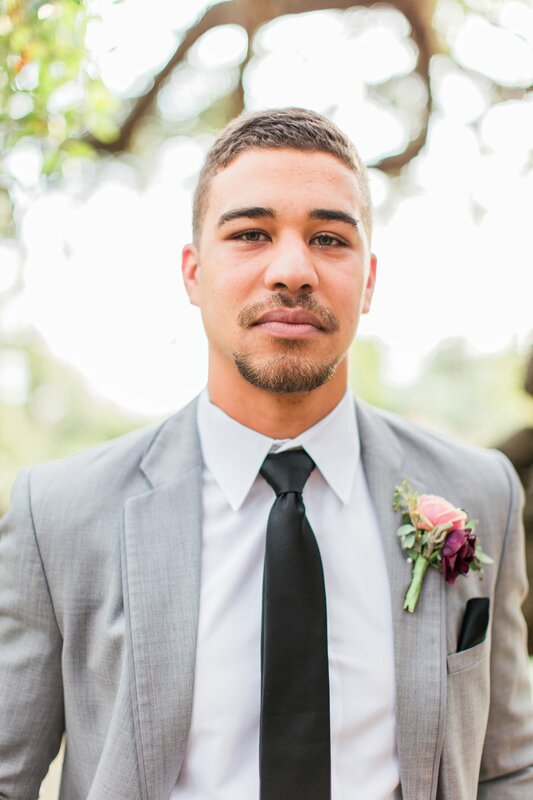 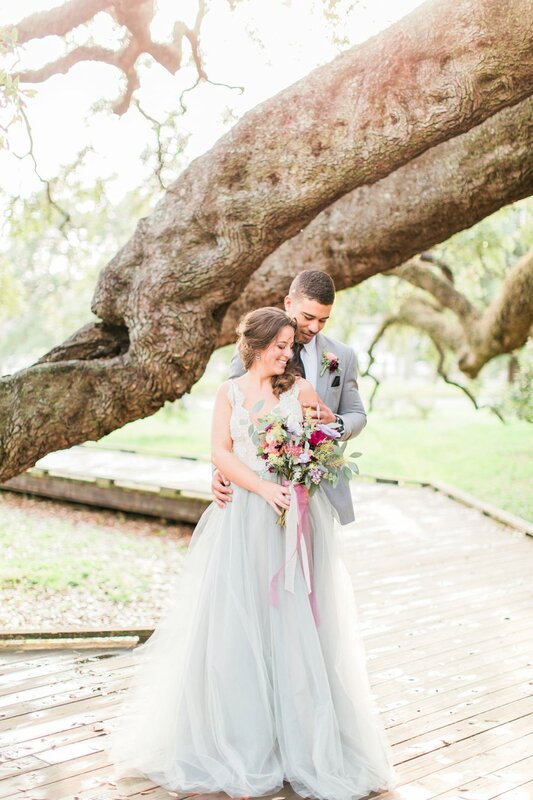 Subtle color in the bride’s wedding gown is a trend we are loving, and is a fun way to show your personal style and creativity. 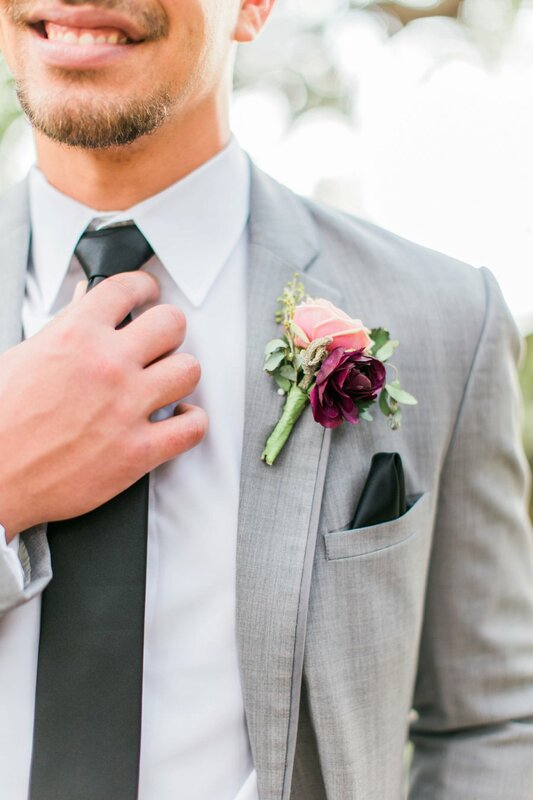 Mixing a classic look and silhouette with a hint of color is something we definitely love about this inspiration. 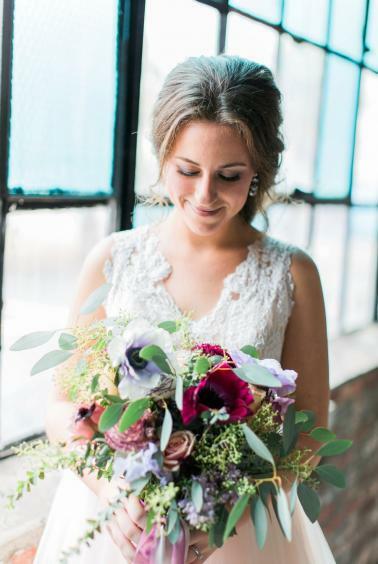 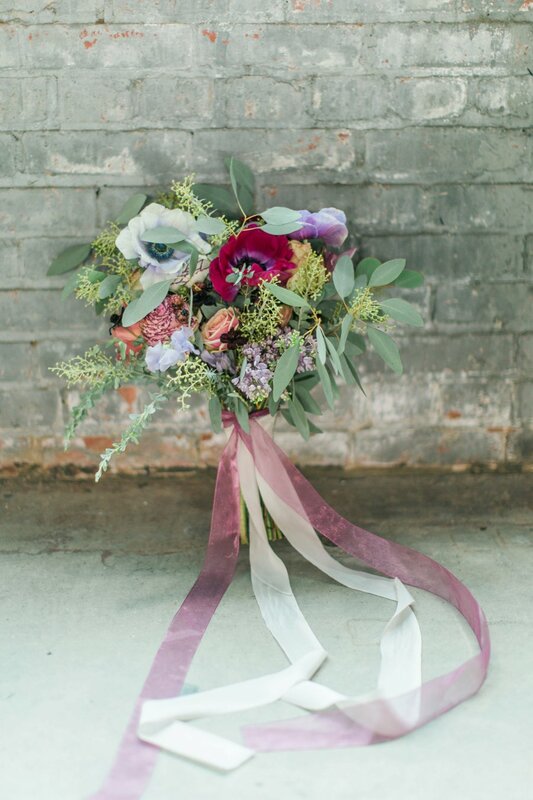 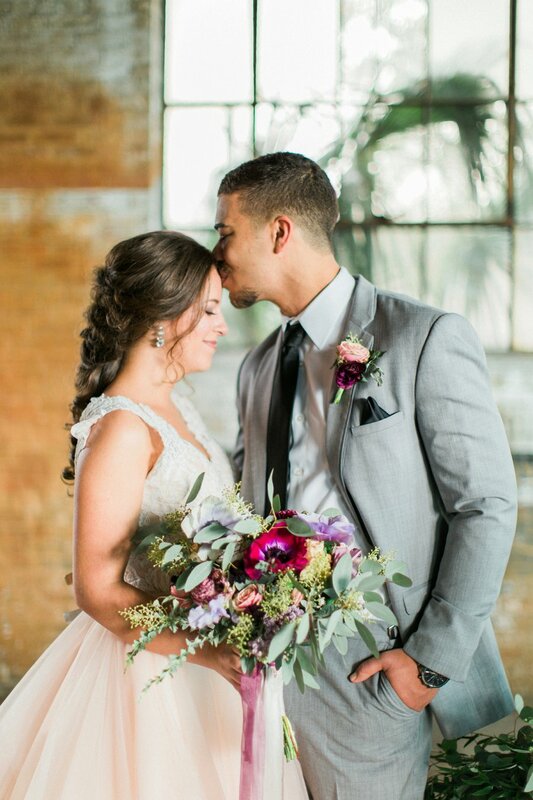 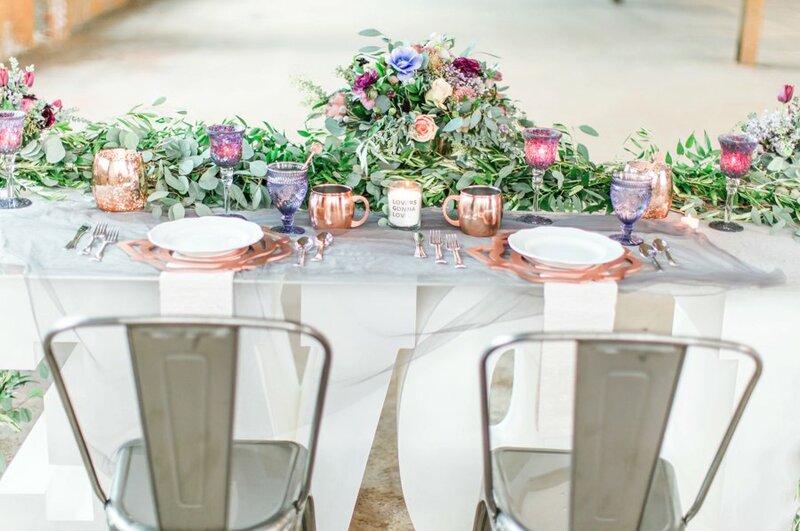 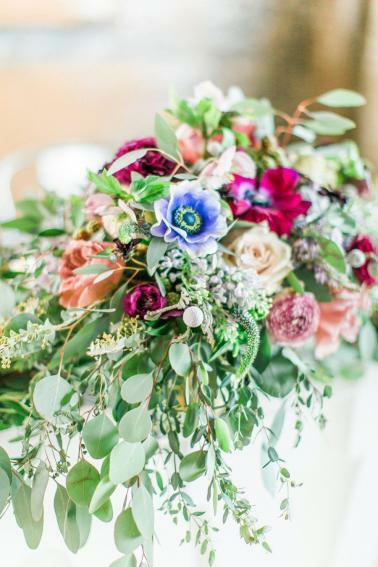 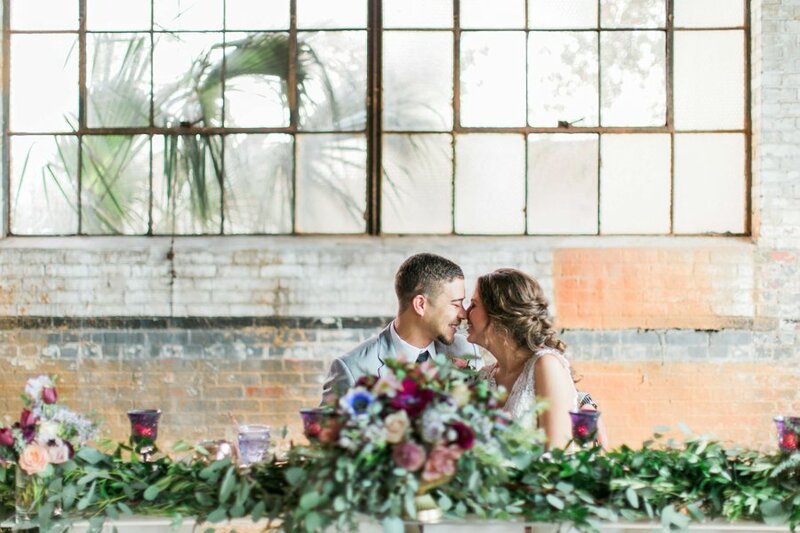 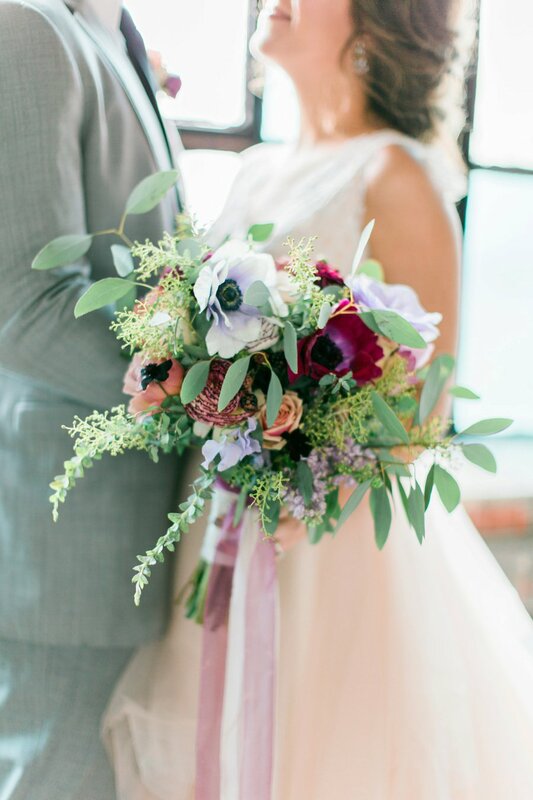 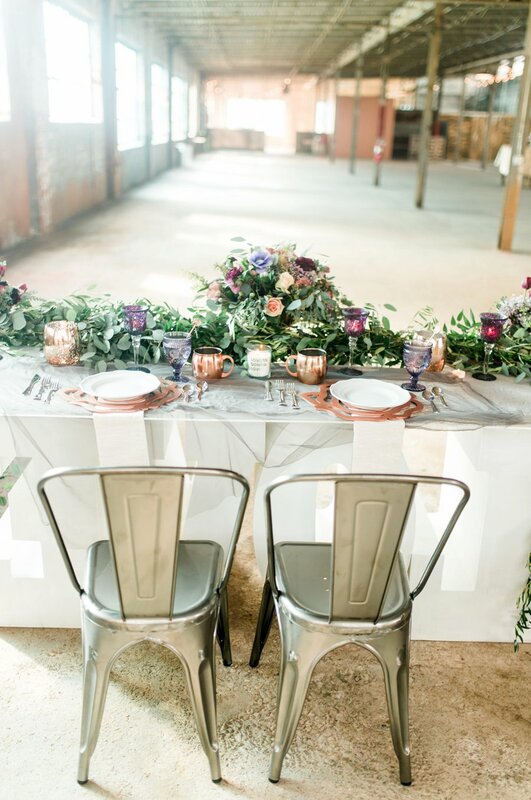 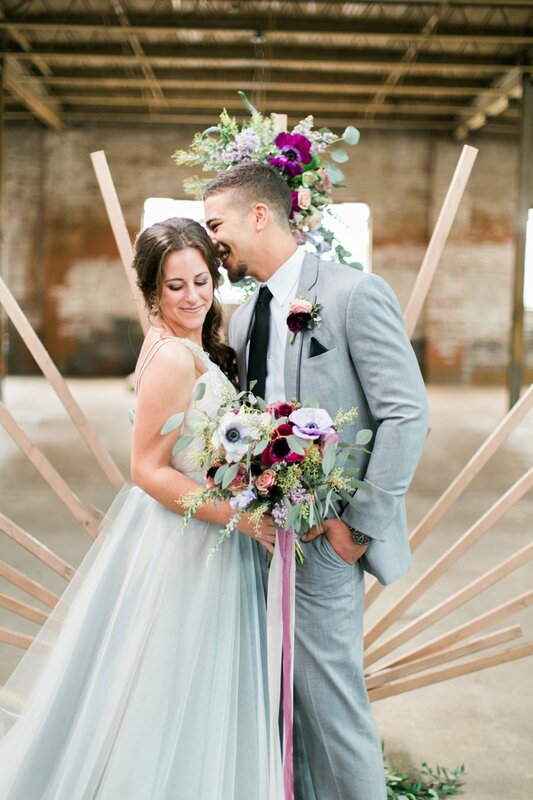 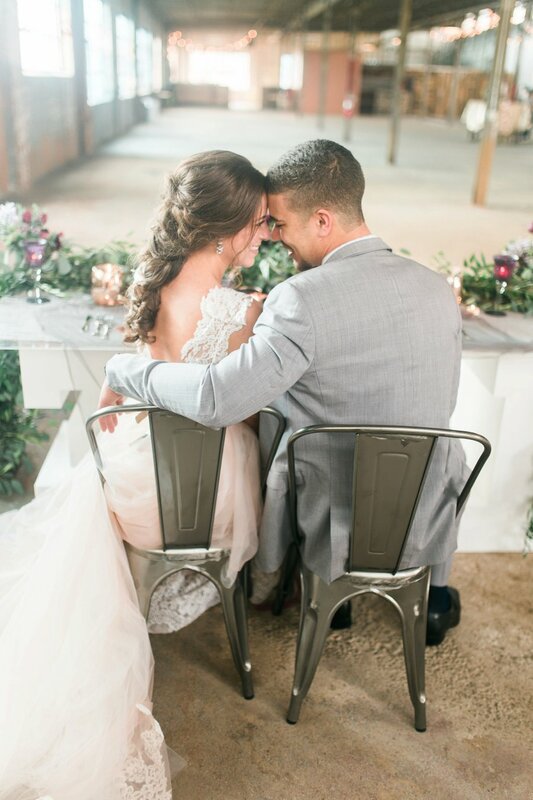 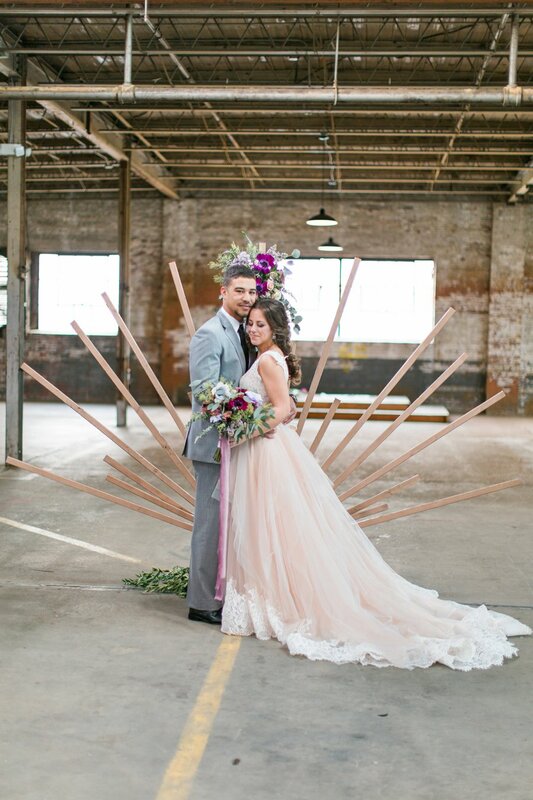 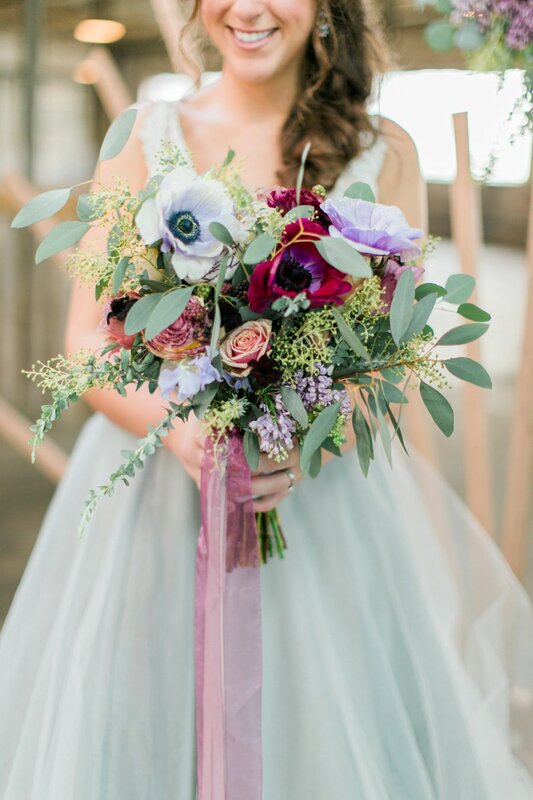 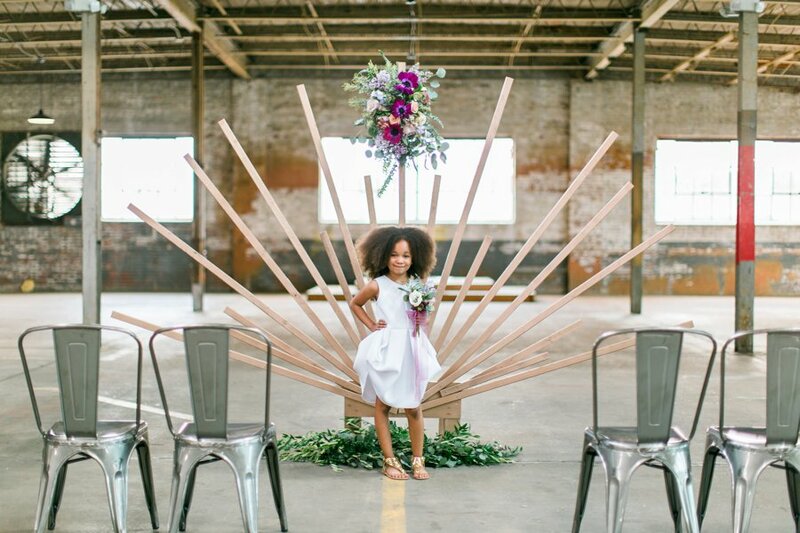 Both dress styles paired so well with this design, and we love the colorful florals and the pop in the table top pieces that created a romantic and warm feel in the industrial warehouse space. 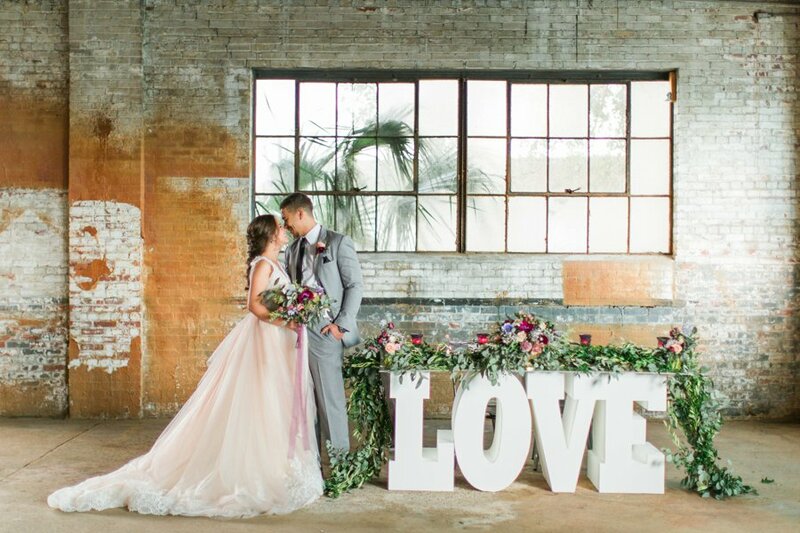 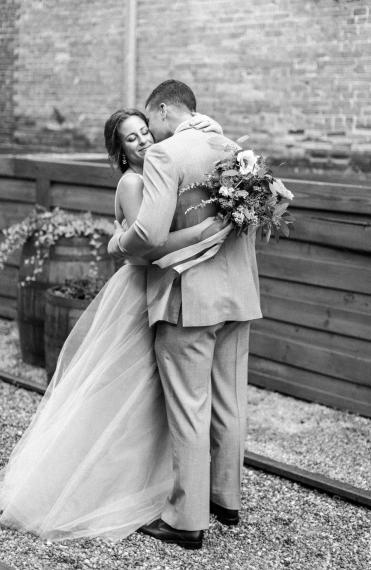 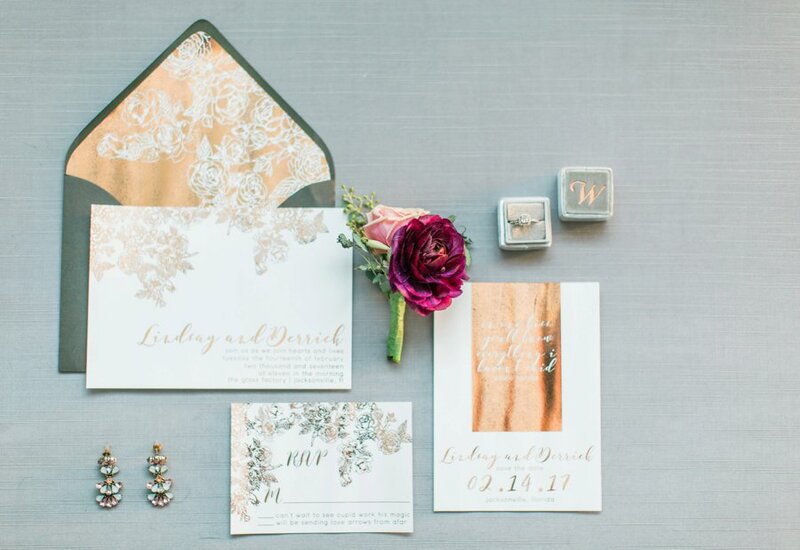 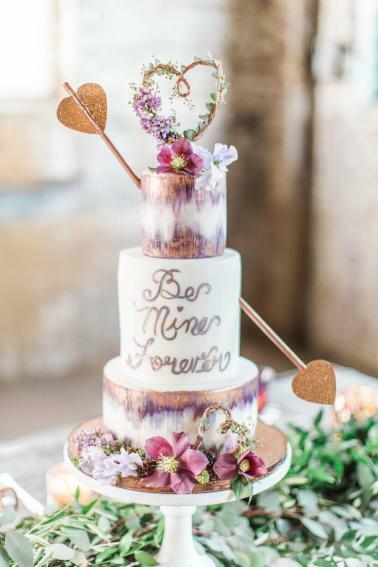 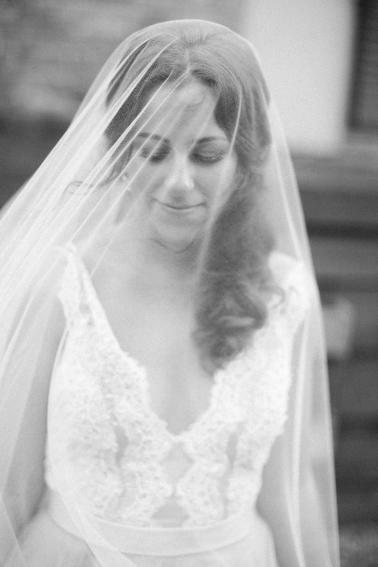 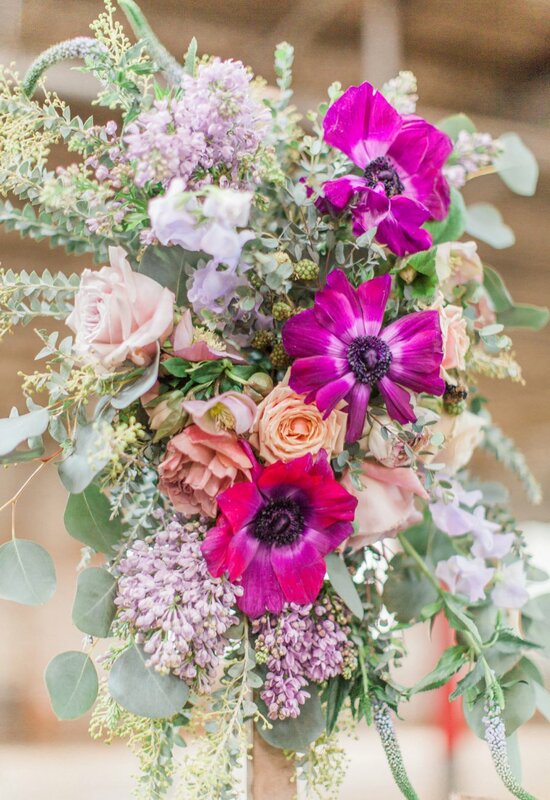 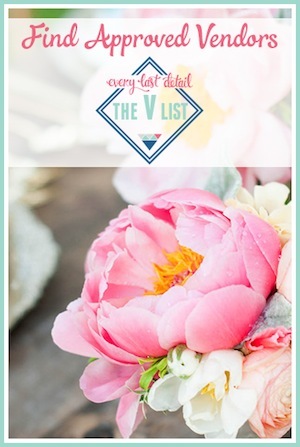 There is so much to love about these wedding ideas, and we hope you enjoy! 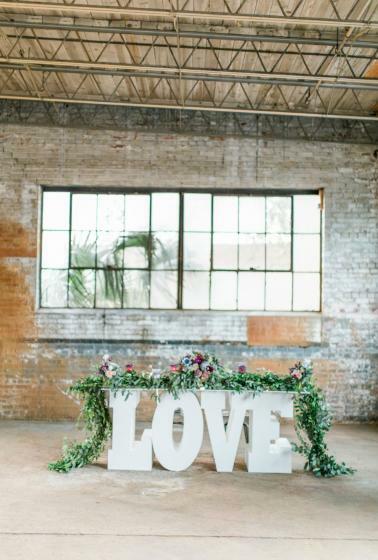 And before we wrap, can we talk about that LOVE table? 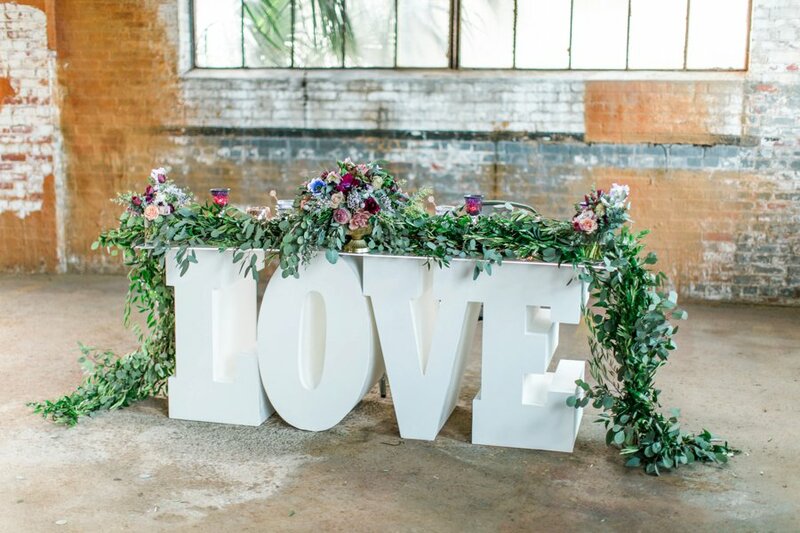 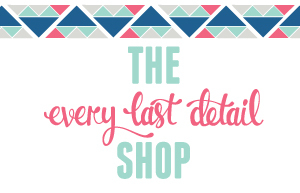 What a fabulous design statement it makes- it’s such a fun mix of style and function. 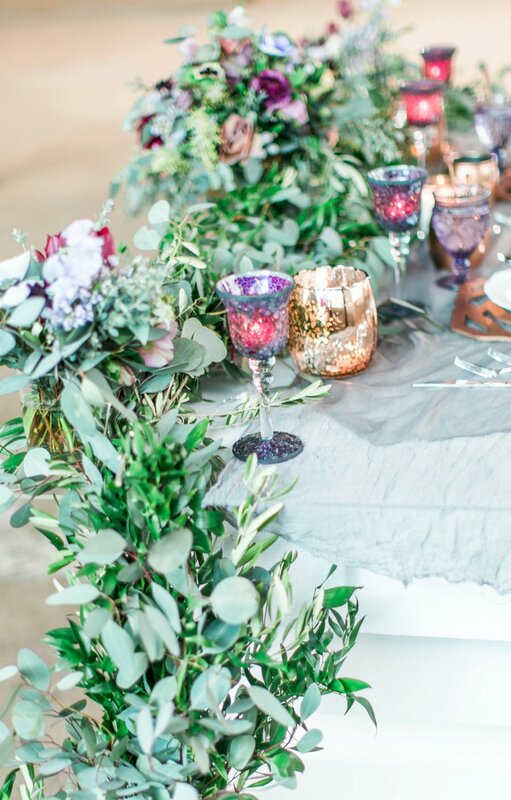 We love the idea of using bold statement pieces in your wedding design, but when those details are functional… well, we see it as a win!